Have a goal in mind but aren't sure how to get there? Need some clarity on investment and insurance decisions? We can help answer those questions. Take a few minutes to tell us about your destination. Term Life Insurance is life insurance that pays a benefit in the event of the death of the insured during a specified term. Are you interested in term life insurance? What term insurance death benefit range are you looking for? Permanent Life Insurance is life insurance that provides insurance protection for as long as you live. This is in contrast to term life insurance, which provides protection for a set number of years. Are you interested in permanent life insurance? What permanent insurance death benefit range are you looking for? What type of relationship would you like with your advisor? How comfortable are you with investing online? How sensitive are you to management fees? Which of the following would you be most comfortable with?  The following graphs are hypothetical results of three sample portfolios over a one-year and a three-year holding period.The graphs show the best potential gains and worst potential loses for each portfolio and time horizon.